CLOSEOUTS. 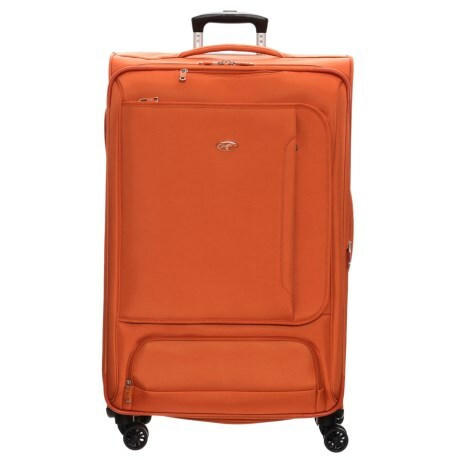 Olympiaand#39;s Petra softside spinner suitcase features 11 pocketsand#39; worth of storage space for your long trip essentials, as well as expandable capabilities for the inevitable souvenirs. Available Colors: ORANGE.